Christopher Young had killed a store owner in November of 2004, the victim's family had opposed the execution. 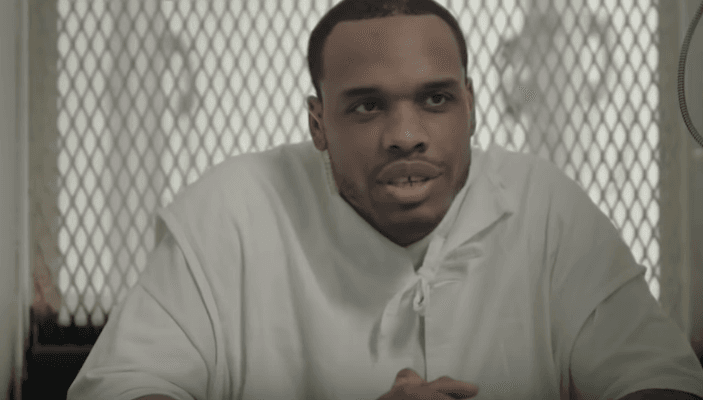 The state of Texas has brought another case to its conclusion - Christopher Young, who was convicted for killing a convenience store owner in San Antonio in 2004, was executed on July 17. The 34-year-old man was injected with a lethal dose of pentobarbital, after which he was pronounced dead at 6:30 pm on Tuesday. Texas has executed death row inmate Christopher Young, 34. According to a report by MEAWW, on the night of November 21, 2004, Young had shot a convenience store owner named Hasmukh Patel, who was 55 years of age at the time. Young, who was 21 while he attempted to rob Patel's store, had claimed that he was under the influence; moreover, he did not intend to kill Patel that night. 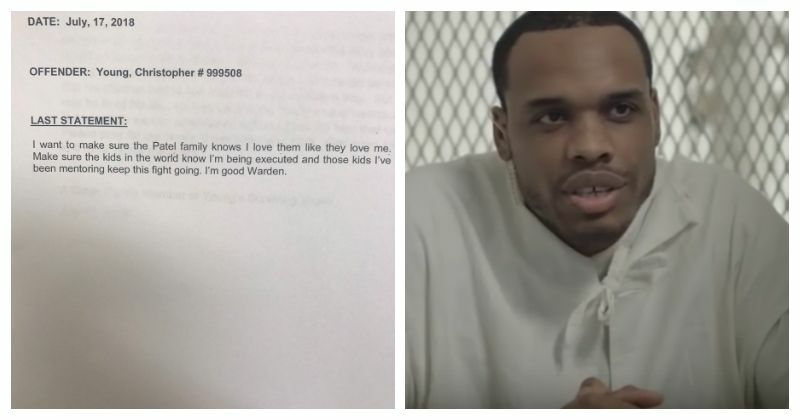 Reports are saying that Young's request for clemency was rejected by the Texas Board of Pardons and Paroles, but his lawyers hinted that the rejection was due to Young being black. If you are the one that did the crime, then you need to walk that path to death. If it were up to me, you would be working in prison and that money would go to his wife, to replace some of what you took until its lights out. 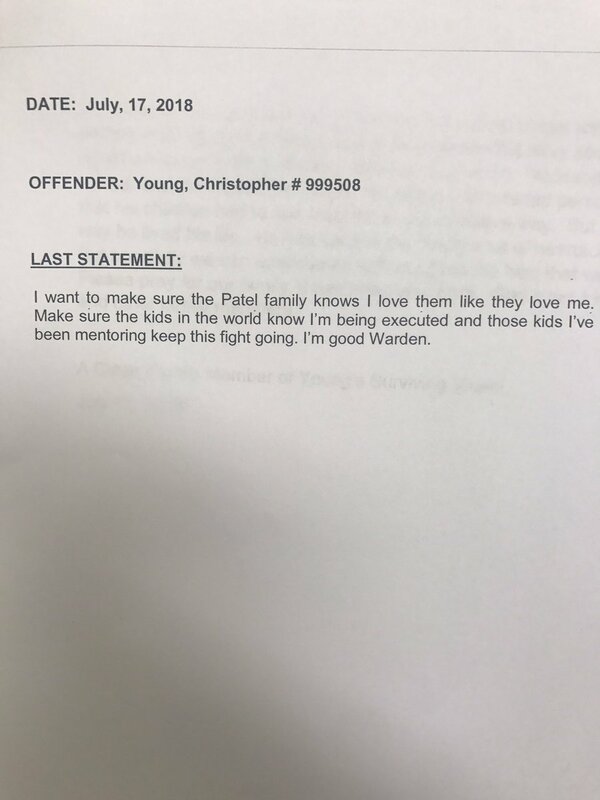 These were Young's final words: "l want to make sure the Patel family knows I love them like they love me." He also added, "Make sure the kids in the world know I'm being executed and those kids I've been mentoring keep this fight going. I'm good, Warden." Mitesh Patel, the victim's son also voiced his opinion on the board's ruling. "I really do believe Chris Young today is not the person he was 14 years ago," he said on Monday to CNN. "It's really unfortunate that the board didn't hear our request for clemency. I feel sadness for his family. They're going to be walking down the same path my family has been on the last 14 years." One of Young's attorneys, David Dow mentions that since his client was black and the race "appears to be the driving force in this case," they had legally requested to delay the punishment. Though the federal judge in Houston to whom the lawsuit was presented, not only rejected the lawsuit but also did not delay the execution. While speaking to the Associated Press before the execution, Young said: "I didn't know about death row. It needs to be talked about. You've got a whole new generation. You've got to stop this, not just executions but the crimes. Nobody's talking to these kids. I can't bring Hash (Hasmukh Patel), back but I can do something to make sure there's no more Hashes." On that fateful night 14 years ago, Young had broken more than a few laws by sexually assaulting a woman in her apartment and forced to drive away in his car. After the woman had somehow fled, Young had driven to the Mini Food Mart. The two customers who were present at that night confirmed to seeing Young shoot Patel, and the CCTV footage was another added evidence which stated the same. He was arrested 90 minutes later by the police. Upon being administered the pentobarbital dose, Young was reportedly let out a few curses loud and kept saying that he could taste the compound. "I taste it in my throat." he had managed to speak. There was very little that one could understand from his words after he began descending into a deep sleep. After the 30 seconds of agony, his body stopped moving and was pronounced dead at 6:30 pm.